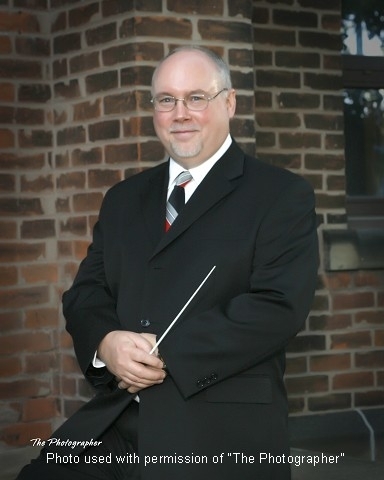 The Greater Windsor Concert Band was formed in September 1997 by Ric Moor. He recognized a need in the community for a traditional wind ensemble – not only for audiences, but also for those adult musicians in town looking for a place to enjoy their hobby. At that time, Ric invited many of the people he knew would be interested, and began holding Wednesday night rehearsals with a small group of about 12 musicians. Ric Moor is a well-known local musician born and raised in Chatham, Ontario where he began piano lessons at eight years of age. One year later, he joined the Chatham Kiltie band and at age 10, took up the clarinet. He performed with the junior band at the CNE band competitions where they took first place. Ric attended George Brown College in Toronto receiving a diploma in piano technology. He has been a practicing piano tuner/technician since 1982. Ric enrolled at the University of Windsor in 1988 to further his music studies. There, he studied clarinet with Dr. Imre Rozsnyai, Sonia Morin, Blake Stevenson, and Steven Millen. He performed master classes with Theodore Oien and James Campbell. He performed at New York’s Carnegie Hall with the University of Windsor Chamber Choir. In 1992, he was graduated with a Bachelor of Music Degree and the Board of Governor’s Medal. In 1993, he was graduated with a Bachelor of Education with specialty in Intermediate/Senior Instrumental Music. Ric is in demand locally on clarinet and saxophone having played with such groups as the Windsor Community Orchestra, Macomb Symphony Orchestra, Windsor Light Opera, Peabody Bridge Demolition Crew, and the Lancaster Orchestra. He devotes most of his spare time now to the Greater Windsor Concert Band which he founded in 1997.